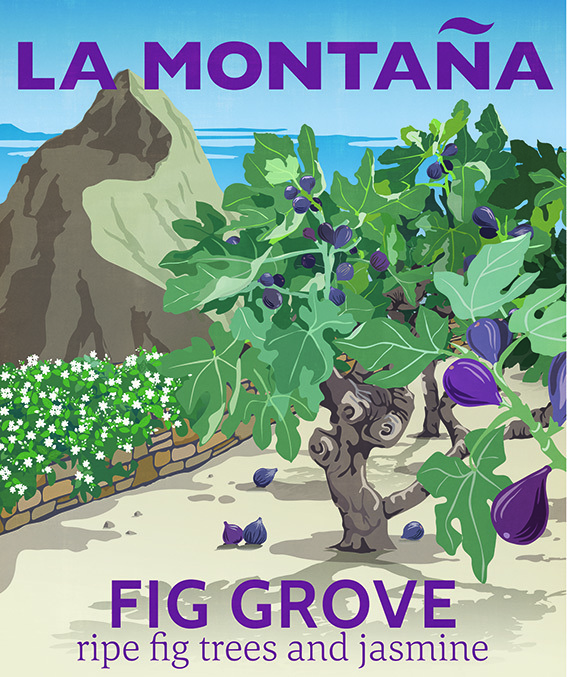 As with so many of our fragrances, Fig Grove has come to life from a stop-in-your-tracks moment – in this case, literally stop-in-your-tracks…. When we first arrived here, I didn’t know what I was going to do for regular exercise. After we got here, what was she of the bone-idle disposition to do? After a couple of months of torpor, I was delighted to discover that there was a personal trainer called Janine who lived in the next village, and who, at home with small children, offered training at her house. BOOM! I was given walking instructions to her house, along a narrow rocky track – ‘the goat track’; authentically named, as it turned out, as I regularly had to nudge my way through a herd of goats, and eventually got on nodding terms with the goat herder. Not sure what he makes of me, dressed in lycra and sporting a sparkly baseball cap (me, not him!). I still, to this day, train twice a week with Janine – she’s now a good friend – and she has more energy than anyone I’ve ever met and does the exercises with me, which is super-motivating. Anyway, at a certain point in the walk, the path dips through a grove of fig trees, all gnarly and probably very old. 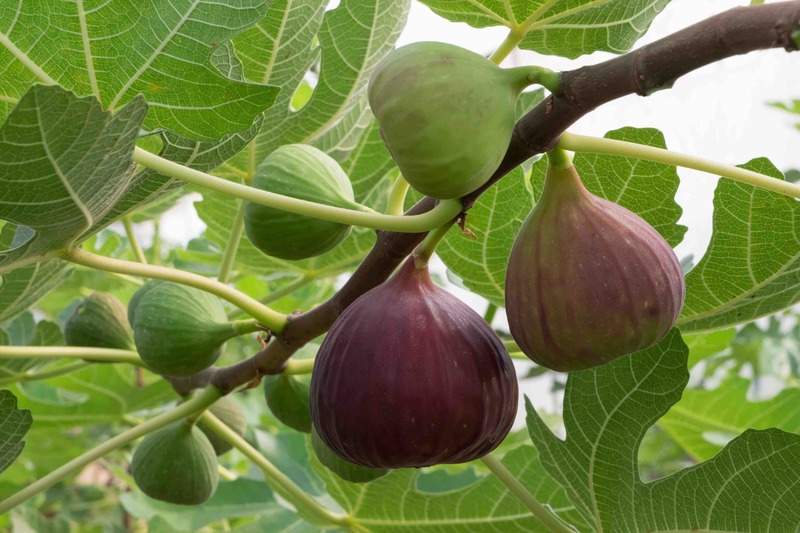 When they’re heavy with ripe fruit, to walk past them is to lose yourself in a world of fig – you’re conscious of the subtle differences between the aromas coming from the bark and the strangely textured, slightly sticky leaves, as well as the fruit, of course, and it all combines to be both heady and fresh, if that doesn’t sound contradictory. 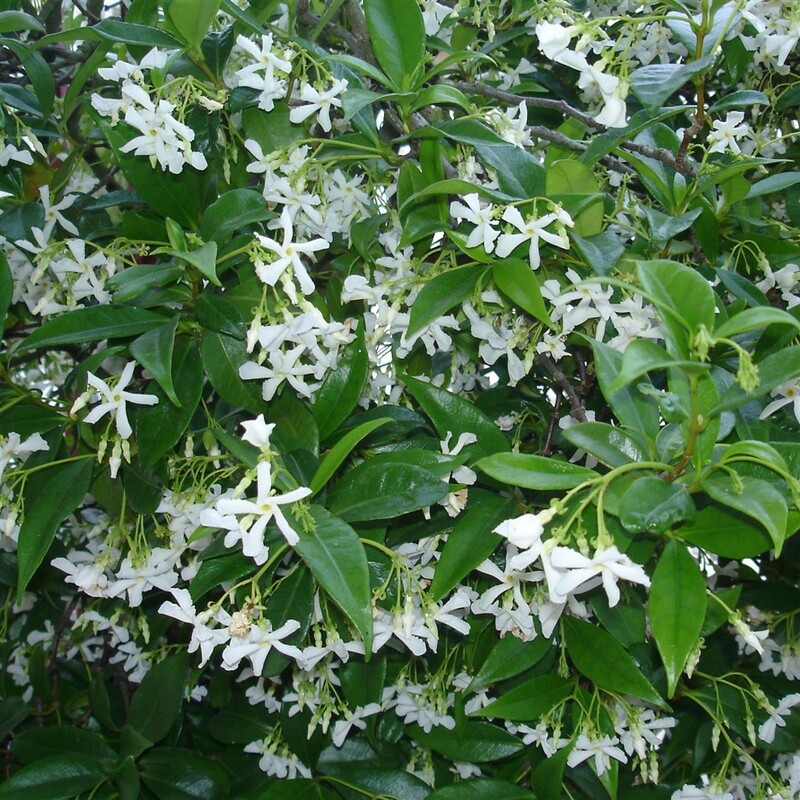 Added to that, there’s also a low wall with a wild jasmine cascading over it, and the blend in the air is hypnotic. The image on the label pretty much tells the story. Every time I pass, I have to stop still and breathe it in. When I’m on my way back from training, I do a bit of exhausted leaning as well, and if a warm fruit happens to fall into my waiting hand, well, I need my strength, don’t I? As ever, our wonderful perfumer, Marianne Martin, listened patiently to my story and then translated it into a divine fragrance that is true to my experience, yet elegant and subtle. “A refreshing light green accord with a subtle fruitiness of fig flows into beautiful floral middle notes of orange flower and jasmine with a hint of sweetness. Luxurious woody base notes, mixed with a heady alluring musk, complete the infusion.” And there you have it. Like our galán de noche (night-scented candle), this is surely our most evocatively Mediterranean fragrance – get ready to be transported!